As much as we hate to admit it, our skin's troubles can sometimes get the best of us. Sure, we have other things on our minds—our careers, our love lives, our friends, our Netflix queue—but as soon as we break out, those blemishes can often conflict with those more pressing thoughts. 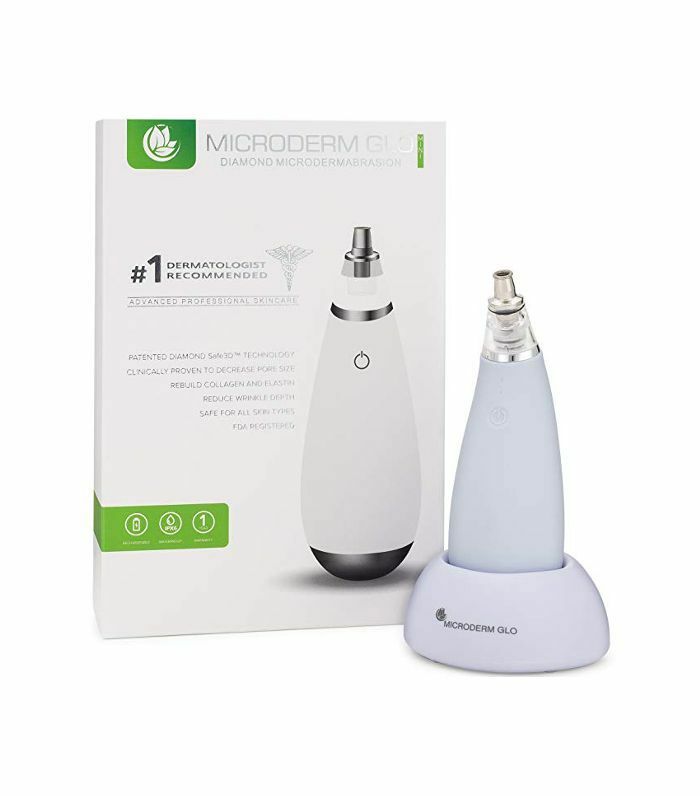 Enter the at-home microdermabrasion kit, one of the latest trends to help keep our skin clear and our minds at ease. "I love when patients are proactive and complement in-office treatments with at-home maintenance treatments," says Beverly Hills dermatologist Jennifer Herrmann, an MD at MFC Dermatology. 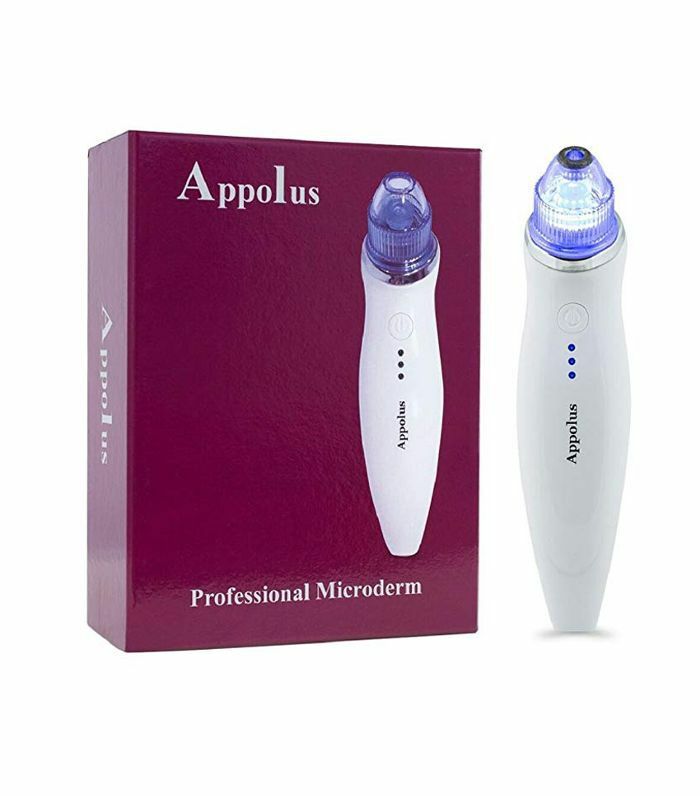 "At-home microdermabrasion is a perfect tool that helps keep skin glowing by gently lifting dead, dull skin cells from the outermost skin layer. 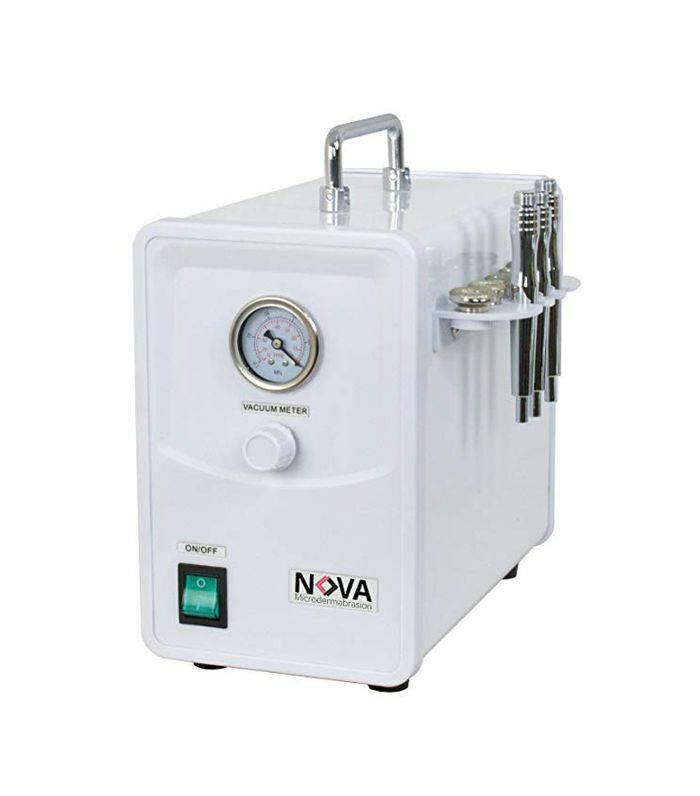 By removing this layer, microdermabrasion also allows topicals to penetrate more deeply and increase their efficacy." Home-based microdermabrasion, which Herrmann recommends should be done once to twice a week, can help topical products better penetrate skin while providing a coveted glow. However, she also advises to not get too addicted to that post-kit sheen. 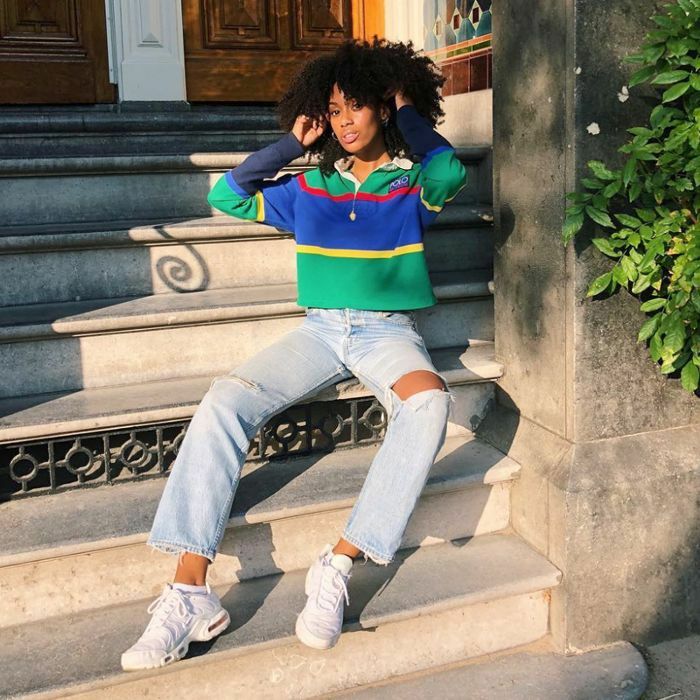 "Although the glow that's achieved after removing the outer layer of dead skin cells can be addicting, it's important not to overdo it," Herrmann notes. "Too many weekly uses can leave skin raw, red, and more susceptible to allergens. Remember to use a good moisturizer after treatments, too, to help keep skin protected." 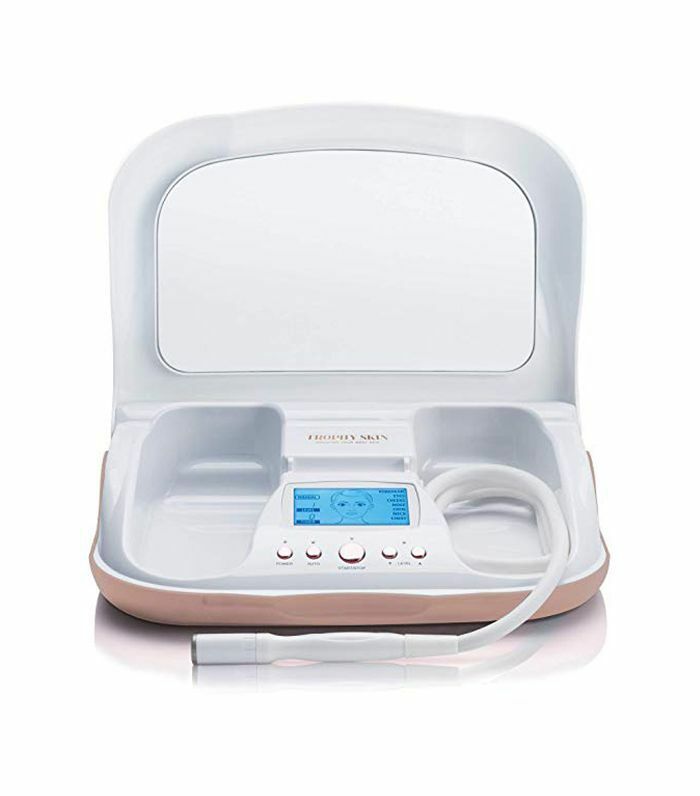 Since at-home microdermabrasion can be new territory for most people, we asked Herrmann to recommend her favorite kits so that you can try this trend out for yourself. She adds that it's best to consult a dermatologist with your pick before using it and to remember to pair this routine with a regular office visit. "Home devices typically polish and buff the skin using a stream of fine crystals or a diamond tip, and some systems may also have suction to vacuum loose skin cells from the face—but they penetrate very shallowly in comparison to in-office tools. Plus, some at-home kits have reusable tips, which if not cleaned well can introduce bacteria into the skin" she says. "In-office tools have more power and can penetrate more deeply, if desired, and their tips are also sterilized to maximize safety." Read on to get her list of the seven best at-home microdermabrasion kits to try, and consider using one ASAP to keep those surprise blemishes at bay. "This device is high quality, compact, and easy to use with an automatic guide, which is great for those who are new to at-home kits," Herrmann says. "Its diamond tip is of high quality, but there's only one. Some other devices have multiple tips that are meant to be used on tougher or more sensitive skin types." "This is really one of the most powerful at-home devices and has multiple diamond tips, wands, and filters," she notes. "It's easy to use and its cost compared to other units is very reasonable." "This device uses small aluminum oxide crystal-coated disks that spin and scrub away dulling dead cells," she adds. 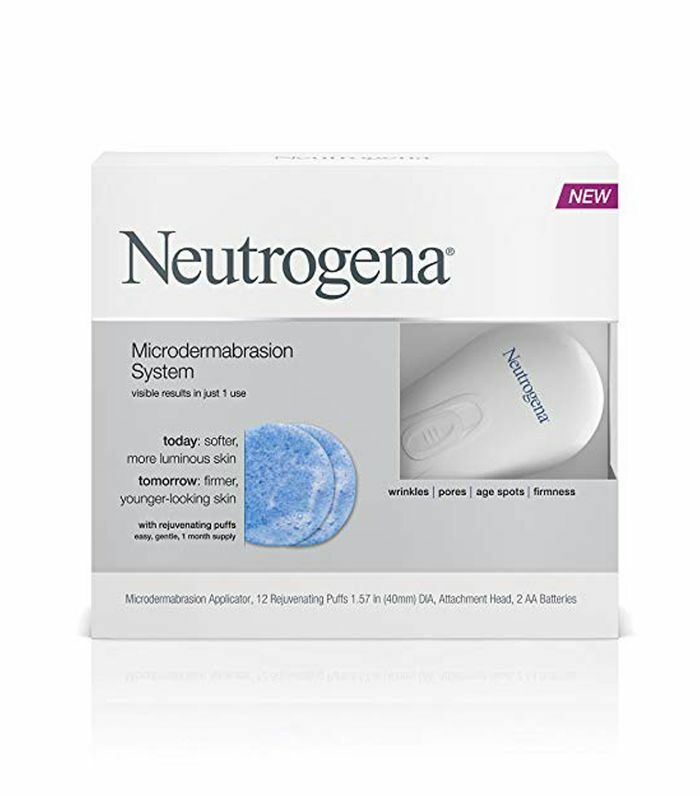 "It has multiple disks that are perfect for many skin types and body areas. It's also quite compact, making it perfect for travel." "This is a great option for beginners on a budget," she continues. "It uses 12 single-use puffs and micro-vibrations to remove dull skin, leaving it clean and bright. "This is another great, compact kit with multiple parts: three diamond tips and five vacuum options to target more and less-sensitive skin areas," Herrmann says. "Ergonomic and small, this device has some variability to it, and it's a perfect travel companion at a good price point," she adds. "This may be a bulkier option, but it has high-quality diamond tips, excellent variability, and a lot of power," she says. "It has an excellent price point, too." 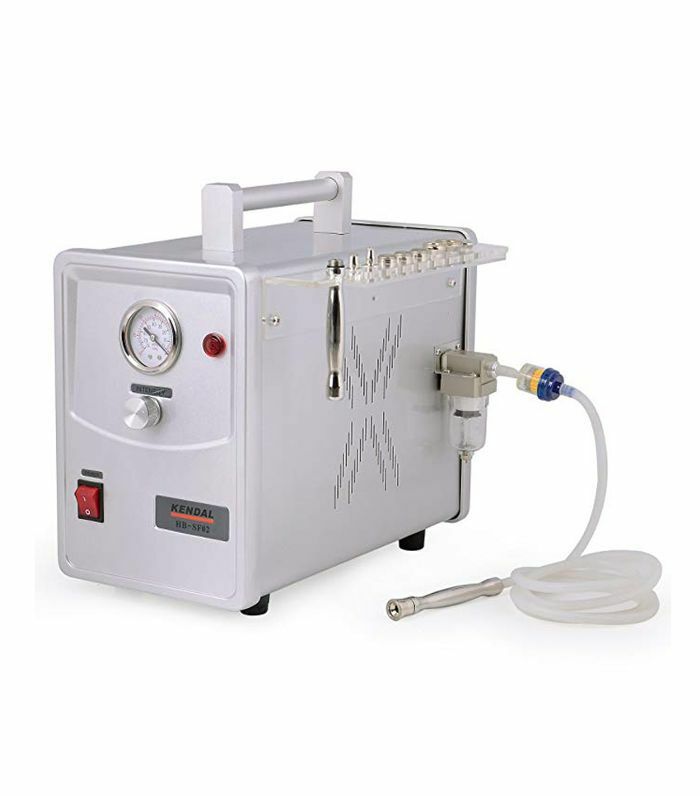 "Microdermabrasion helps improve radiance, lift dead cells, and reduce blocked pores, but because these at-home treatments are very superficial, they aren't powerful enough to tackle fine lines, pigmentation, growths or sagging," Herrman notes. "In-office treatments like laser resurfacing can penetrate more deeply into the skin to tighten it and stimulate collagen synthesis. It's best to consult with your board-certified dermatologist so that they can help you best determine when to add-in home microdermabrasion to your routine."